Attention: At the time I wrote this review, Nixeus had a potentially great product and excellent customer service. Now, slightly over a year later, I'm sorry to say that this is no longer the case. There hasn't been a single firmware release since my original posting, and their forums have fallen into disrepair with tons of spam and the deletion of my account multiple times. If anyone out there knows of another great streaming media player that has nice readable text-based subtitles, please contact me. I recently got my grubby little paws on the new Nixeus Fusion HD NX-1000 Network Media Player, and after years of trying out various network media players, I think I finally found the one I'm going to stick with. This one is tops in both hardware and customer support while still managing to be affordable. It has space for an internal hard drive and supports external hard drives using either a USB or e-SATA connection. Or if you don't want to bother with any of that, it can also stream your entire video library straight off your PC using either a wired or wireless connection, and the wireless supports the new faster wireless 802.11n protocol. Now, that's not to say that the software couldn't use some tweaking here and there, which hopefully will arrive through firmware updates, but it comes closer to being the perfect media player than any of the others I've tried, and part of that is due to their fantastic customer support. These people listen to suggestions and work hard to fix any problems you happen across. 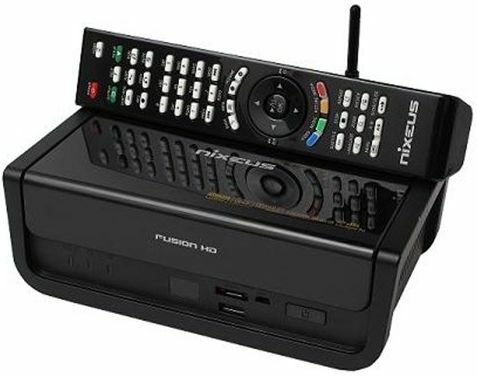 Before I get to my review, I feel it might be useful if I discuss all my previous network media players so you can see how the Nixeus Fusion HD NX-1000 compares. If you'd rather not read about all that, then you can skip straight to the Nixeus review. 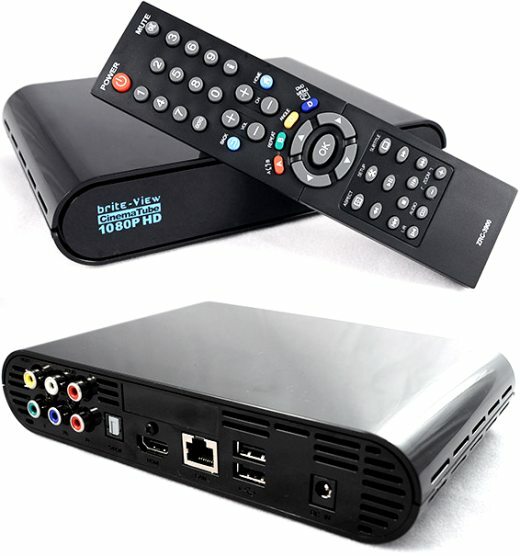 Our very first network media player was our TiVo HD, using the TiVo HME application StreamBaby. The two main advantages to this one is that we already own it and that it streams pretty much any video file we have on the computer, including FLV files which none of the other players seem to be able to handle. The downsides are that it does not support subtitles, does not support multiple audio tracks, and cannot play ripped DVDs without first converting the DVD into a video file. So no ISO or VIDEO_TS support and no DVD menus. Also, there is a 1.1 GB limit for streaming videos, so once it has streamed 1.1 GB the video needs to pause while StreamBaby clears the buffer a new buffer. So while we still use StreamBaby, it is just not sufficient to function as a network media player for our entire video library. The Western Digital WDTV Live was the first standalone network media player we purchased. 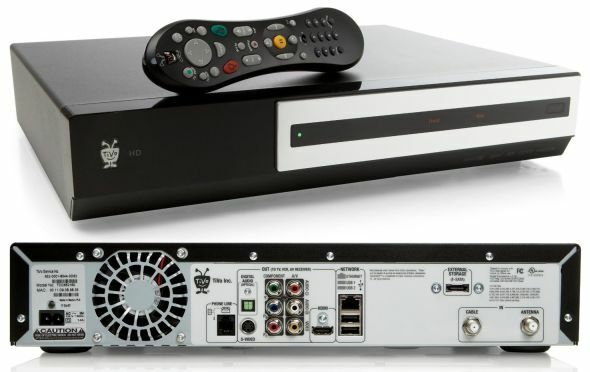 At the time, the WDTV Live couldn't handle DVD menus and had other problems such as with subtitles, so after only a day we replaced it with an Egreat EG-M34A. Although Egreat worked pretty well, it had downsides such as taking a full 60 seconds to boot up before you could do anything, not supporting subtitles in MKV files, and needing to navigate through a nest of menus in order to change the aspect ratio. 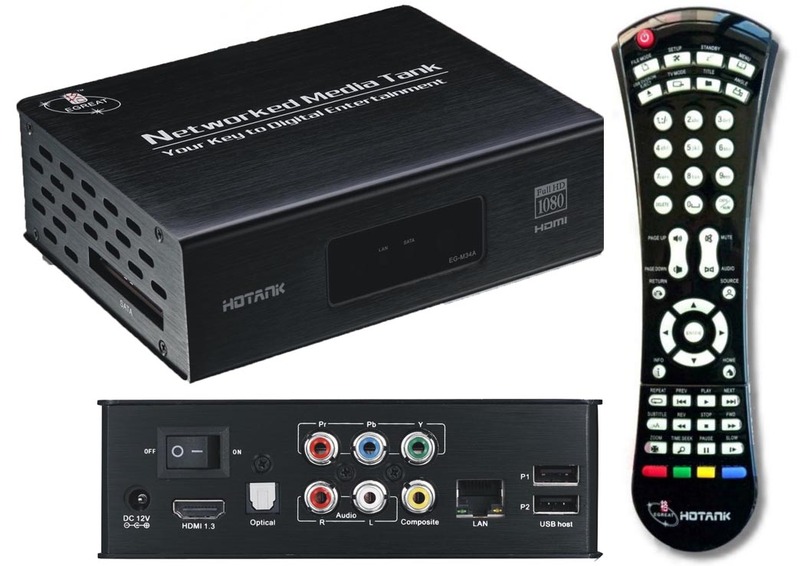 Also, for our setup we have the HDMI output going to our main TV and the composite A/V output running into our bedroom TV, but this device only outputs the signal on one or the other, not both simultaneously, so we would have to use a button combination on the remote to switch back and forth. Most of these issues could have been fixed with upgraded firmware, but there weren't a whole lot of firmware releases, and when they did eventually update, the new firmware was worse than the old firmware. Aside from not fixing any of the mentioned issues, it also caused the device to fail on videos which used to work fine. The customer support for this product was terrible (and still is, according to their forums), so we moved on to another player. Next we got the Brite-View BV-5005HD CinemaTube, since it was said to properly handle subtitles in MKV files. We were also happy to find that this unit boots up in only a second, it sends the audio/video signals to every output simultaneously, has a dedicated aspect ratio button on the remote, plays some DVD folders that the Egreat would crash on, lets you still hear the audio when fast-forwarding at 1.5x and 2x speeds, and provides a menu to jump to any point in the video. At that time, it also had more frequent firmware updates, though the frequent firmware updates stopped shortly after we bought it as they were completely redesigning it. Why do we need updated firmware? Because alas, this unit also has its share of downsides. The main one for us was that the subtitle font (for text-based subtitles) has a really thin black outline instead of a standard thick outline, making the text nearly impossible to read. Being an anime fan means reading a lot of subtitles, so this is kind of important. The other issues I will mention are comparatively minor and may not even be an issue to some, but they were noticeable to use because the Egreat did not suffer from them. For instance, the Brite-View has no way to set up shortcuts to video folders on networked hard drives, meaning you have to navigate through the entire network structure to get to the folder every time. It does have a My_Shortcuts folder, but it is for a different purpose, and is rarely used, yet is always the first thing on the list. So that is quite annoying, especially when we used to be able to get to our video folder with a single click. Also annoying is that hidden and system folders are displayed in the list for some unknown reason, it does not support media jukeboxes such as YAMJ, it has no 30 second skip which is very nice for backing up to hear missed dialog, and turning it off wouldn't cause our automatic HDMI switch to flick over to the next active signal. Eventually, we got tired and frustrated waiting for the new firmware update. Instead of just fixing the issues brought up in the user forums, they were working on a completely new firmware with new interface. Their first release of the new firmware was a complete disaster and they quickly pulled it. After much beta testing, the new firmware was then scheduled to be released towards the end of December, but that didn't end up happening. It is now the end of February and they are currently on their third release candidate, which I've tried, and although the text-based fonts were fixed, it still has too many problems to use effectively. 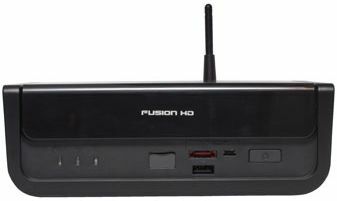 That brings us to the Nixeus Fusion HD NX-1000 Network Media Player. In the box was the media player, a remote with 2 AAA batteries, a composite audio/video cable, an Ethernet cable, a USB wireless antenna, four small screws for installing an internal hard drive, a power brick, and a power cord. I always prefer this power brick/power cord combination. Using an external power brick makes the electronic device much smaller and run cooler, but a power brick that plugs straight into an outlet often blocks all the surrounding outlets. Using a detachable regular size power cord connecting to the power brick is the best of both worlds. Hooking everything up was pretty simple, especially since I already had all the wires in place from our previous media player. Aside from swapping out the power cord, the one difference in connections was with the composite A/V cable, as the Nixeus doesn't have the composite RCA style ports on the back. To save room, it has a 3.5mm port, so the A/V cable has the 3.5mm connector on one end and the yellow/red/white RCA connectors on the other. So that was the only cable I had to swap out. Hold on a second... did I just say that I'm still using composite connection?! Yes folks, I use both HDMI and composite, with the HDMI running to the main TV and the composite running through the attic and into the bedroom TV. It's a great money saver, as this way we only need one of each electronic device and we can access them all from either room. 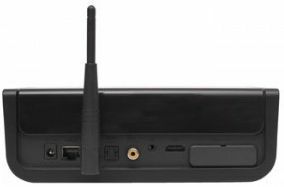 A nice thing about the Nixeus is that it outputs the audio/video signal to both the HDMI and composite ports simultaneously, so there's no need to switch back and forth. I should also mention that there is only one USB port in back, and that will be filled by the antenna if you choose to go wireless. This means if you wanted to hook an external USB drive up to it, you would need to plug it in the front or get an externally powered USB hub. Since I'm not using the wireless feature, I plugged in the external hard drive to the rear USB port. The drive has an e-SATA connection available, but USB has always been plenty fast enough so I just stuck with that. The first thing I tried out was the Networked Shared Folders to see how well it would connect and stream over our home network. It had already found the computer during the initial boot up, so I navigated to the shared folder containing our DVD collection and was happy to see that it actually played DVD folders by clicking on the folder, not like the WDTV Live which makes you navigate into the DVD folder and actually select the VIDEO_TS.IFO file. I was also happy to see that the DVD folder played pretty much just like a real DVD, with full menus and DVD controls. The only difference I noticed was that pressing the language or subtitle button on the remote brought up the Nixeus's menu for changing those options instead of cycling through the available languages and subtitles like a real DVD would. The video and audio all played well over the network, never stuttering or buffering, which is what I expected, but always nice to find out for sure. One minor annoyance came when I stopped the DVD and instead of being back on the list I was instead inside the DVD folder looking at the VIDEO_TS.IFO file and a list of VOB files. This is where things take a turn for the awesome! After reading praise after praise about Nixeus customer support, I decided to try it out for myself. 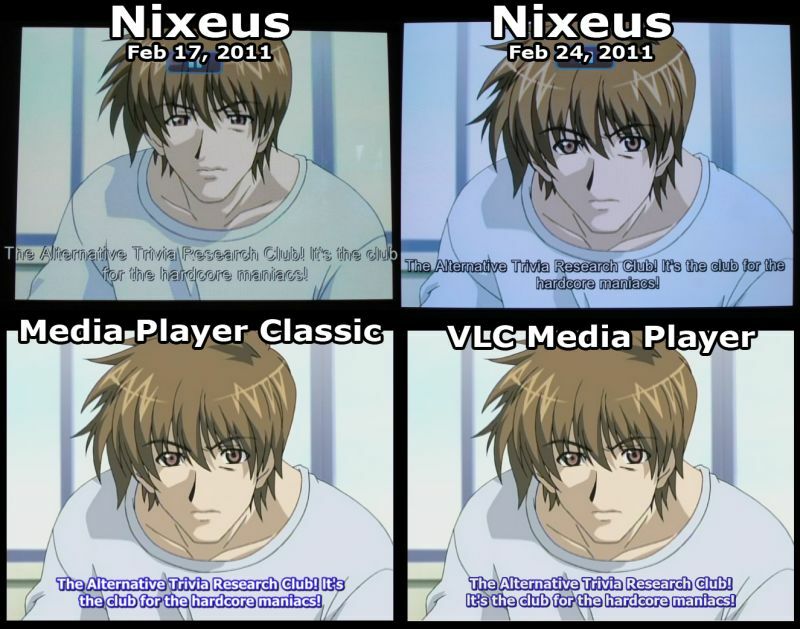 I paused the anime and snapped a picture showing the difficult to read subtitles, then got screengraps of the same shot using Media Player Classic, VLC, and Xbox, and included those pictures in an email. Seven minutes later I received a response asking if I could provide the video file so they could test it. Exactly one week later (and that includes a 3-day weekend) I was given a new firmware to install which greatly improved the subtitles. How cool is that?! You would never get this kind of service from Egreat or Brite-View, or even TiVo for that matter. Trust me, I've tried. This company seems bound and determined to get it right; they not only listen to the customer, they take action. Anyway, lets move on with the review as I have lots more to cover. I tried play several other video files of different type, and they all played with the exception of FLV files, which are Flash video files. So far, every networked media player I've tried has had problems playing these. Only TiVoHD handles them okay with Streambaby, and that's only because ffmpeg can transcode FLV files. Next I briefly tested out the UPnP. I don't typically have a need for this since I just use shared folders, so I didn't do an in depth test, but it seems to work just like streaming videos using shared folders. The Bit Torrent I didn't try out because I rarely use that, and if I did I'm sure I'd just use my PC, though I know from the forums that there are a lot of people who love having Bit Torrent available without having to leave the PC turned on. I also don't expect to use the web browser much, but figured I might as well see what it was like so I plugged in the wireless USB mouse that was nearby. There are several preloaded default addresses such as Google, Facebook, and Twitter, so I tried all those out and they all came up quick and looked just like they do on my PC's web browsers. I'm not sure what I was expecting but yeah, it looks pretty normal. The mouse worked without problems, I didn't have to install drivers or anything. Then I tried my site, Absolute Anime, and although it appeared to come up fine, I was unable to move around because the device locked up. The power button on the remote wouldn't even shut if off, and had to end up holding down the power button on the front of the unit for 3 seconds to get it to shut down. I tried a couple more times, but always got the same result. The last selection I tried out was this thing called iMedia, which lets you access web content from sites like YouTube, Flickr, and Live365, except by using an interface that feels much more natural on a television with a remote, rather than in a web browser. It's a nice touch, I know from forum posts about other network media players that this is a fairly popular request, but not something I see myself using very much. I should also note that the menus are easy to read on both the high definition TV and the older CRT television. Some interfaces work well on HDTVs but are too small to easily read on older sets, and this issue is not present here. There are various configuration options in the setup menu for audio, video, and other setting, but I really didn't need to change any of them except for the locale, putting in my zip code. You don't have to do this, but if you do then it will show you the weather in your area, which is neat. You can access the setup menu by pressing the setup button on the remote, so you don't need to exit all the way back to the main menu, which is nice. The ability to jump back about 10 seconds to rehear missed dialog that both our TiVo and DVD have, and it comes in very handy. Normally I would suggest that this function be mapped to the left directional button, but the Nixeus uses the LEFT and RIGHT buttons for rewinding and fast-forwarding. There is a dedicated BACK button which exits the move and takes you back to the list of video files, and since the STOP button does the exact same thing, I say remap the BACK button to the 10 second skip. There's no need to see system folders like RECYCLER on the list, and if folders are hidden then you probably really don't want those displayed either. I say hide 'em so there's less to scroll through. When playing a file, the DVD chapter skip buttons (NEXT and PREVIOUS) function by skipping you to either the previous or next file. The Brite-View works the same way, except on the first press it brings up a little notice box saying to press the button again to skip to the next file, which is really nice because then you don't do it accidentally. I would really love this feature in here, because this is an annoying accident that continues to happen. Currently, these buttons have the exact same function as NEXT and PREVIOUS, which kinda seems pointless, and also makes it awfully easy to hit them accidentally when trying to fast forward or rewind, and then BAM! you're on the next file. I would have them bring up the GoTo menu/progress bar on the first hit with the current time already entered, and then subsequent hits could bump up and down the time that you want to jump to, like 30 seconds, 1 minute, then 5 or 10 minute intervals. If your cursor is on the last row at the bottom of a list, it'd be nice if pressing page down would bring you back to the top of the list. The remote seems quite touchy, like if I hold the buttons down for any length of time the signal continues to be sent and the device continues to act on the signal. For instance, if I hold down the subtitle button, the subtitle menu will flicker on and off very quickly. It can get pretty annoying in certain circumstances, such as trying to pause but having it go back to playing because it got the signal twice. Update: After resetting the unit back to factory defaults and unplugging it, the touchy remote problem went away. The new subtitles are a 100% improvement over the previous ones, but I'd still like to see a slightly bolder font used to make it easier to read. All those issues are pretty minor, and for what you get out of the box and the exceptional customer service, this machine is definitely worth picking up. It's now feasible to backup your entire DVD collection to a hard drive and access it all with the touch of a button. It's great for anime fans too because it has the easiest to read text-based subtitles of all the networked media players I've tried, and both subtitle and audio tracks can be switched from a single overlaid menu instead of having to change the separately.